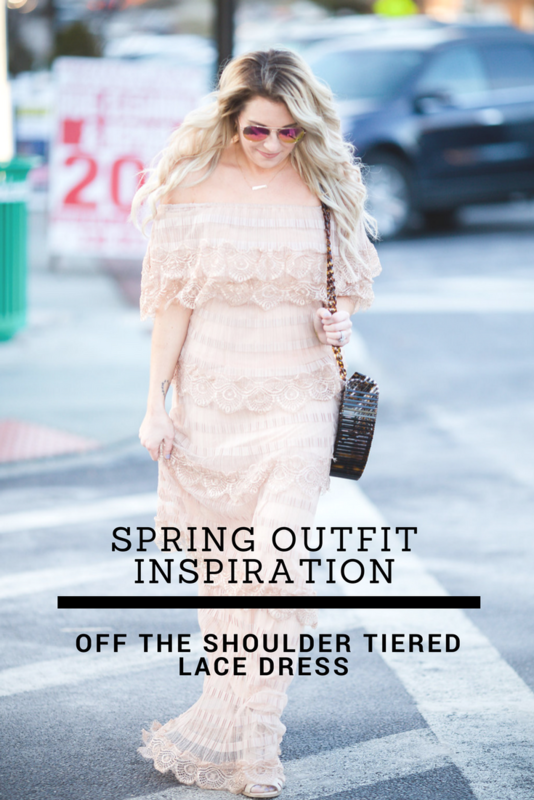 Today I wanted to share this off the shoulder tiered lace dress from Olive + Pepper with you babes. It’s SO cute, right?! It’s non-maternity which means you ALL can wear it! I sized up to medium to accommodate for my assets and probably could have even gone up to a large. 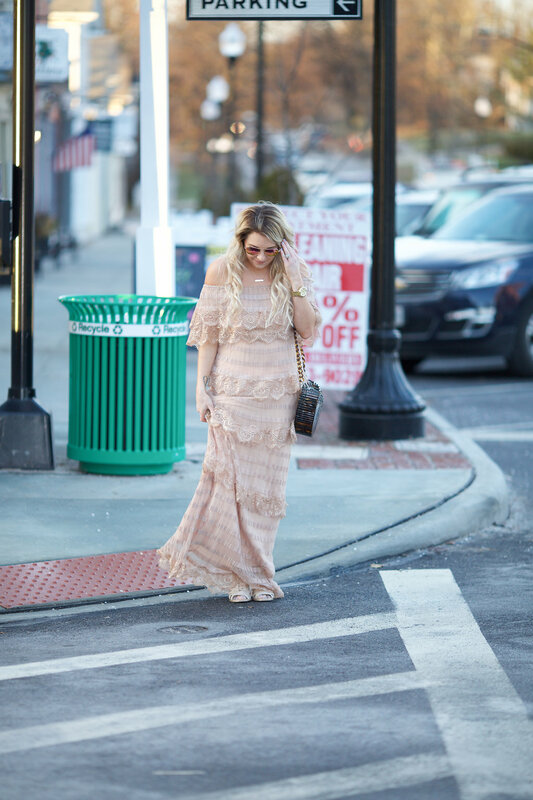 But the details on this dress are STUNNING and it would be perfect for any spring event you have coming up! 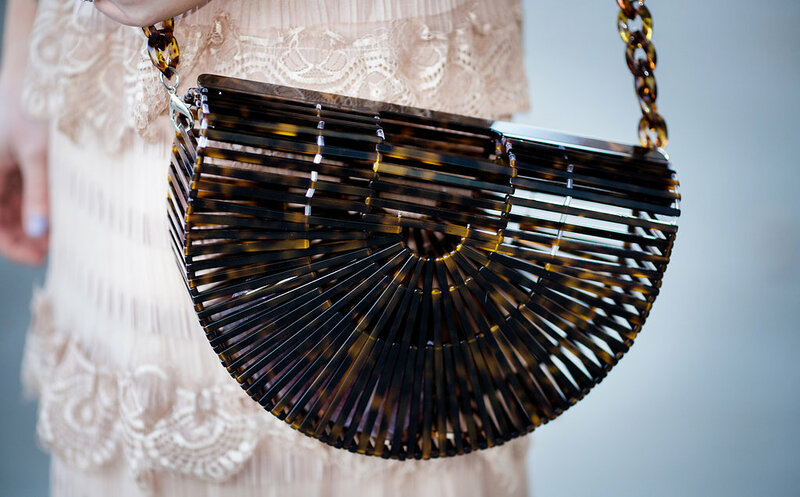 I paired the dress with this acrylic tortoise bag, a super trendy bag from last spring and most likely this spring. This color is actually sold out but she has three other colors that would make the perfect statement piece for any spring outfit. I love that you can hold this one by the handles or use the strap… versatility is always a bonus! 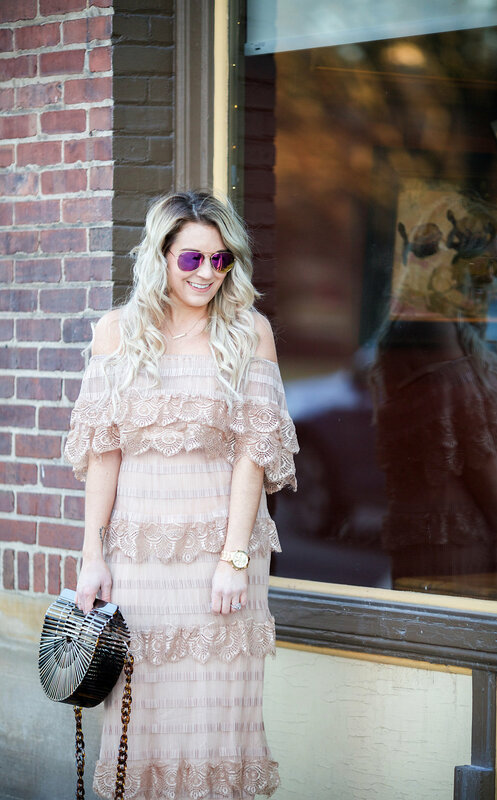 The dress and bag are already such statement pieces that I kept my jewelry minimal and my shoes neutral. This watch was an anniversary gift a few years ago and it’s one of my favorite watches. So classics and it literally goes with everything. This necklace was from a small boutique in GA but I linked a similar one here. I haven’t been wearing heels because my body is already super sore, so I’ve opted for a lot of block heels. These were a purchase from Burlington a few years ago (still obsessed with them) but I found a really similar pair here and linked some more below! Really cute dress. Looks lovely on you.